President Trump turned down a golden throne for the White House. The First Couple had asked the Guggenheim to borrow a Vincent Van Gogh painting for their private White House quarters, but a curator responded that the museum no longer had the work. 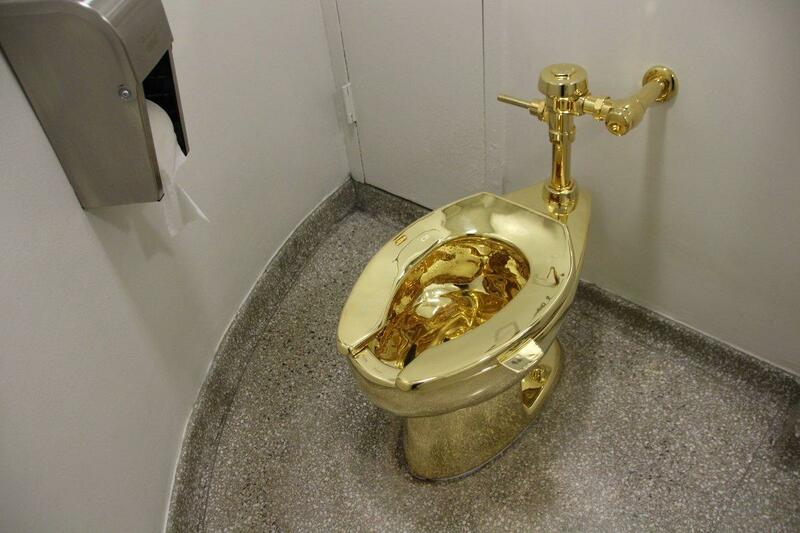 The curator, Nancy Spector, pitched the golden toilet to the Trumps in a Sept. 15 email — first reported by the Washington Post — after a White House curator asked if the presidential couple could borrow Van Gogh’s 1888 “Landscape with Snow.” The email contents were confirmed to the Daily News by a museum spokeswoman. Spector wrote back that the Van Gogh was a no-go, but pointed out that Cattelan’s interactive “America” was available after concluding a year-long exhibit in a public bathroom on the museum’s fifth floor. The toilet had been used by visitors but was available “should the President and First Lady have any interest,” Spector wrote. “(Cattelan) would like to offer it to the White House for a long-term loan,” she added. The paper noted it is common for first couples to borrow major works of art for the White House. “When the sculpture came off view on September 15, Trump had been in office for 238 days, a term marked by scandal and defined by the deliberate rollback of countless civil liberties, in addition to climate-change denial that puts our planet in peril,” Spector wrote in the Aug. 17 post. Trump’s penchant for gold is no secret. Several of the facades to his Manhattan skyscrapers are plated with gold and photos from inside his residences also reveal that anything from lamp shades to picture frames are gilded.